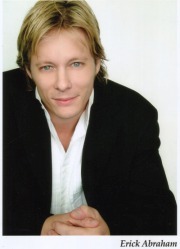 Erick is an experienced voice talent based in Los Angeles working from his home studio daily doing various voice overs for Television Promos, Liners , Commercials and Billboards as well as for Radio, Narrations, On Hold and IVR as well as Web based voice overs and anything that needs a young hip cool youthful voice to it. If your looking for a solid voice to bring your copy to life as well as able to take direction and give you various takes of your copy and easy to work.... then Erick is your man. As well as daily voice overs and enjoying working with clients and scripts and voicing, Erick is also a proud Father and Husband who always keep him grounded. young, hip, cool, youthful, energetic,smooth, caring,fun,guy next door, announcer guy, excited, Television Imaging Voice, Radio Station Imaging Voice, Promo Voice Overs.